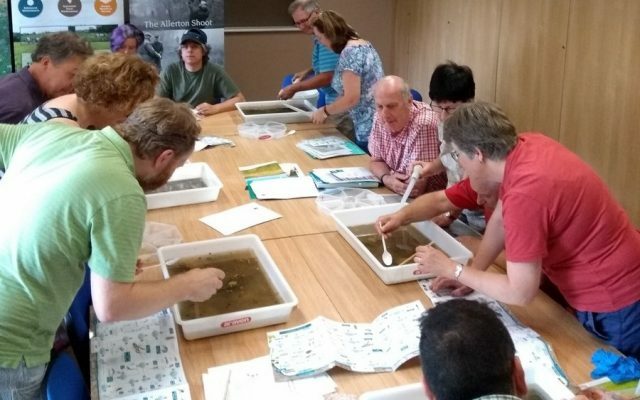 In order to better monitor the state and condition of the River Welland and its tributaries, the Welland Rivers Trust has launched a catchment-scale citizen science programme. We are now inviting people of all ages with an interest in their local river to sign up and become a volunteer River Warden! Training, equipment and ongoing support is offered free of charge and the scheme is open to people of all ages and abilities. River Wardens from the Harringworth Mayfly Fishers conduct a kick sample for invertebrate biodiversity. The River Warden Scheme allows rural communities to take action that will help conserve their river environment. 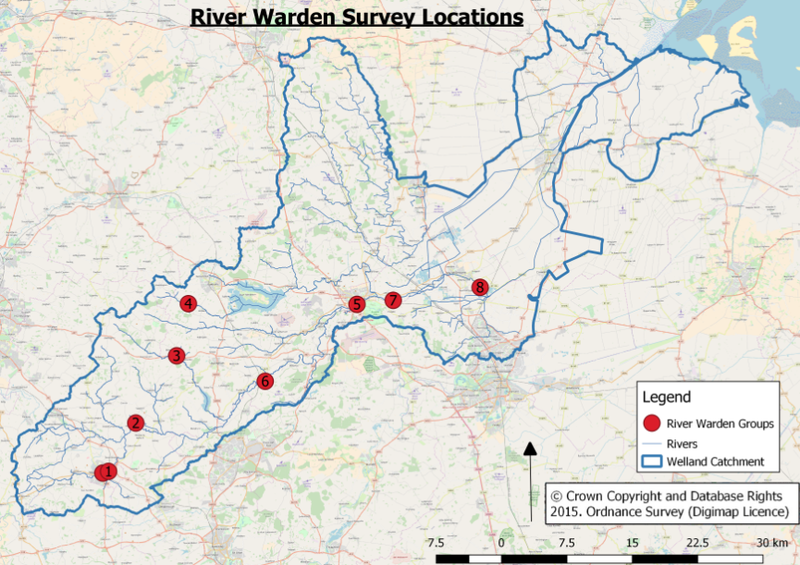 Through simple monitoring techniques, River Wardens are able to be the local champion for their river and detect any severe perturbations in water quality. River Wardens can also be put in direct communication with a local contact from the Environment Agency. 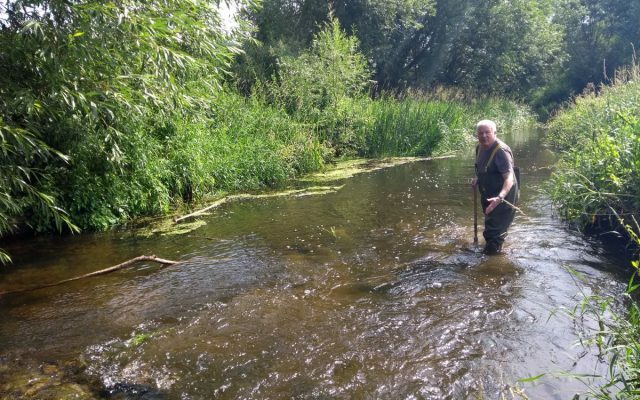 The River Warden Scheme is running alongside other routine monitoring by the Environment Agency and Anglian Water, ensuring a combined effort to survey water quality more widely and frequently, and that action is taken at the earliest opportunity should any negative trends be detected. At the Welland Rivers Trust, we believe that community involvement is key for the conservation and restoration of the River Welland and its entire catchment area. It’s fun, educational and the surveys have a real impact on improving our understanding of the health of our river systems! In July 2018, 8 separate River Wardens groups were trained and equipped and are now actively involved in the scheme. Areas covered include Market Harborough, Welham, Braunston, Allexton, Harringworth, Stamford, Uffington and Deeping St James. Throughout 2019 Welland Rivers Trust will be expanding the scheme, focusing primarily on areas of the catchment where we do not yet coverage such as the River Chater, East and West Glen, River Guash and Langton Brook. If you are interested in setting up a River Wardens group or would just like some more information please get in touch!